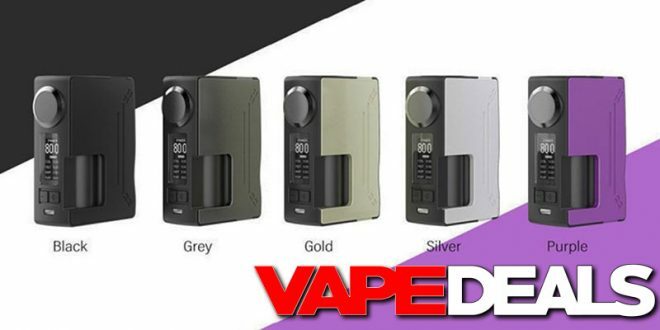 The Hugsvape Surge 80W Squonker has been on pre-sale for a while…but it looks like a few vendors finally have it in stock. It’s incredibly affordable too. Efun is selling it for only $25.99! Killer deal for a regulated 20700 squonker. They have 5 colorways to choose from: black, gold, grey, purple, and silver. It’s also worth mentioning that Efun is offering FREE shipping on orders $39+ right now (ends 11/2), so you may want to have a look around and see what other deals you can find. Otherwise, 3fvape is selling the Hugsvape Surge for $32.69 with free shipping (link below).